Keynote 1: What does the operating system ever do for me? System challenges in graph analytics. Abstract: Graphs are at the core of many data processing problems, whether that is searching through billions of records for suspicious interactions, ranking the importance of web pages based on their connectivity, or identifying possible “missing” friends on a social network. Using these workloads as examples, I will describe challenges in building efficient parallel implementations, and the ways in which the operating system is no longer providing effective abstractions of the underlying computer hardware. I will show how obtaining good performance and scalability requires careful control over the placement of computation and storage within a system, and an understanding of the structure of the data being processed. I will then talk about how I see the role of the operating system evolving in distributed “rack scale” systems. Speaker: Tim Harris. Tim Harris leads the Oracle Labs group in Cambridge, UK. His research interests span multiple layers of the stack, including parallel programming, VMM / OS / runtime-system interaction, and opportunities for specialized architecture support for particular workloads. He has also worked on the implementation of software transactional memory for multi-core computers, and the design of programming language features based on it. 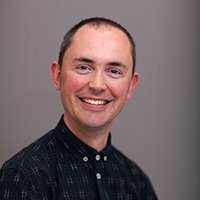 Tim has a BA and PhD in computer science from Cambridge University Computer Laboratory. He was on the faculty at the Computer Laboratory from 2000-2004 where he led the department’s research on concurrent data structures and contributed to the Xen virtual machine monitor project. He was at Microsoft Research from 2004, and then joined Oracle Labs to found the Cambridge office in 2012. Abstract: Differential Privacy (DP) is one of the most successful approaches to prevent disclosure of private information in statistical databases. It provides a formal privacy guarantee, ensuring that sensitive information relative to individuals cannot be easily inferred by disclosing answers to aggregate queries. If two databases are adjacent, i.e. differ only for the value an individual’s data, then the query should not allow to tell them apart by more than a certain factor. This induces a bound also on the distinguishability of two generic databases, which is determined by their distance on the Hamming graph of the adjacency relation. Recently, we have proposed a generalized version of DP that can be applied to arbitrary metric domains, by expressing the indistinguishability requirement in terms of a bound on the given distance. In this talk, we consider the problem of verifying that two probabilistic concurrent processes that differ for the value of a secret satisfy (generalized) DP, i.e., they give raise to observable traces whose distance does not exceed the required bound. To this purpose, we consider an extension of the Bisimulation Metrics based on the Kantorovich distance. However, the standard Kantorovich lifting is additive, while DP is multiplicative. We therefore explore a generalized notion of Kantorovich lifting, suitable for arbitrary metric domains, and therefore also for the generalized DP. We show that the standard results extend smoothly to the generalized case, and that a bound on the generalized bisimulation distance is also a bound for the distance on traces, which guarantees the soundness of the method for proving DP. Finally, we explore a Hennessy-Milner-like logical characterization of our bisimulation distance, and we show how it can be use for reasoning about DP. Speaker: Catuscia Palamidessi. 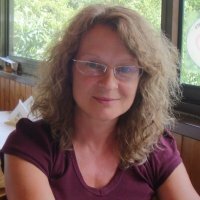 Catuscia Palamidessi is Director of Research at INRIA Saclay, where she leads the team COMETE. She got her PhD from the University of Pisa in 1988. She held Full Professor positions at the University of Genova, Italy (1994-1997) and at the Pennsylvania State University, USA (1998-2002). Catuscia Palamidessi's research interests include Privacy, Secure Information Flow, and Concurrency. Her past achievements include the proof of expressiveness gaps between various concurrent calculi, and the development of a probabilistic version of the asynchronous pi-calculus. More recently, she has contributed to establish the foundations of probabilistic secure information flow, she has proposed an extension of differential privacy, and geo-indistinguishability, an approach to location privacy. Abstract: We review work over the last thirty years on simple, formal models capturing the essence of (realistic) views of distributed coordination. We trace a path through work on concurrent constraint programming, its linear version, connections with the asynchronous pi-calculus, and, more recently, through the imperative resilient X10. As always, the virtue of clean and powerful abstractions is that they can ease design of real systems that address tricky technical concerns. We illustrate with the calculus for resilient X10, designing which forced us to a semantic principle, Happens Before Invariance, which is useful in practice. Speaker: Vijay Saraswat. Vijay Saraswat is a researcher at IBM TJ Watson. 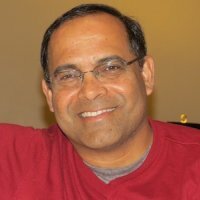 He has worked for nearly 25 years in corporate research (about 9 years at Xerox PARC, 4 years at AT&T Research and 10 years at IBM TJ Watson), three years at three different start-ups (Carnegie Group Inc, Vayusphere and Kirusa), and a year as a Professor of Computer Science and Engineering at Penn State. He has also taught at IIT Delhi, U Pisa, U Padova, Waseda U. For the last years he is an Adjunct Professor at Columbia U. His central research interests are in programming languages, concurrency and constraints.